Saturday, October 12 | 10 a.m. - 6 p.m.
Sunday, October 13 | 10 a.m. - 5 p.m.
Bring a non-perishable food item for "Food for Lane County" and receive an extra Door Prize drawing ticket. Every 33 minutes someone in Lane County needs a blood transfusion. Please help those in need with the gift of life. 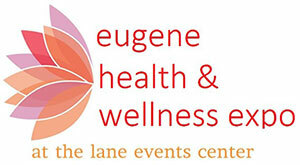 Lane Bloodworks will be having a blood drive during both days of the show from 8am-5pm. Please call (800) 398-7888 or click on the logo to schedule an appointment. Give Blood. Get Cookies. Be a Hero. Save a Life.